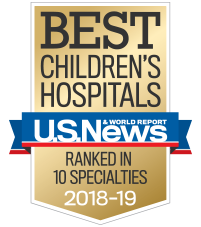 Children’s Healthcare of Atlanta is rated as one of the top transplant programs in the U.S., with highly trained and experienced specialists providing comprehensive care—from preparation, to follow-up care and family support—to children receiving a transplant. Our teen health professionals provide care and support for the unique needs of teens and young adults who have received a transplant. Our experienced heart transplant team draws from the latest research and medical advances to offer expert care for children. Our kidney care team provides comprehensive pre- and post-transplant care for children with end-stage kidney disease. We offer children with end-stage liver disease a second chance, with one of the largest pediatric liver transplant programs in the county. Our surgical team has advanced expertise in caring for children, offering a wide range of treatments in an environment that puts kids at ease. We offer a full range of services to support families throughout the transplant process, from preparation to follow-up care and support. We provide devices that support heart function when a child’s heart can’t pump on its own, along with support and education for families.